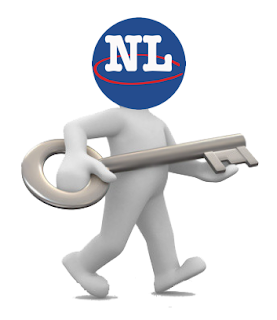 Follow this step-by-step guide to learn how to reset your NL Classifieds password. 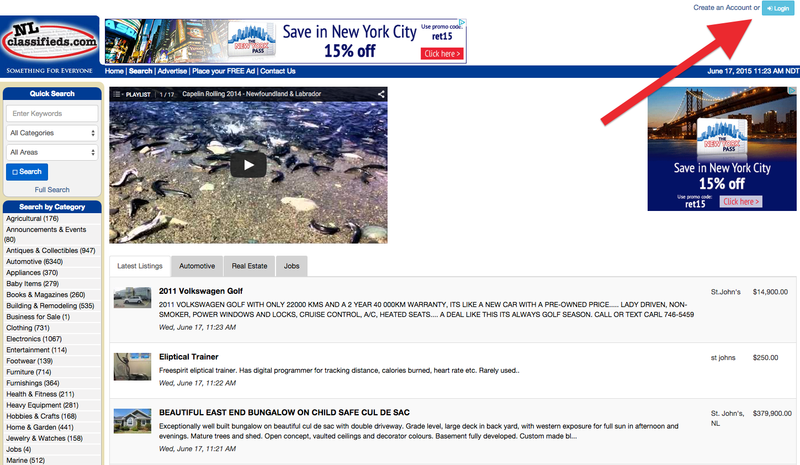 First, click the Login button at the top right of the NL Classifieds homepage as seen below. 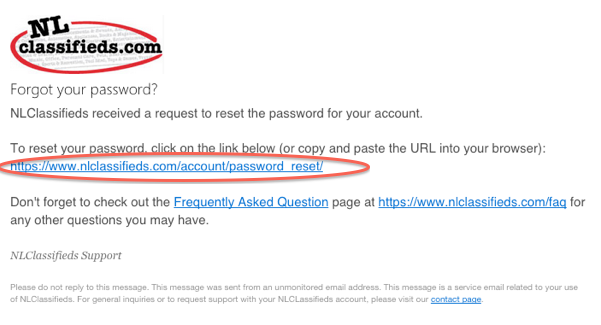 Now, on the Login screen, below the email and password forms, click "Forgot your password". 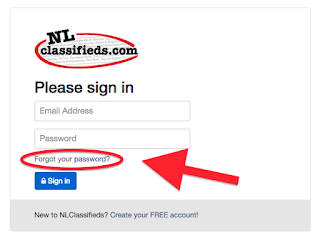 Enter the email address that you use to login to your NL Classifieds account here. 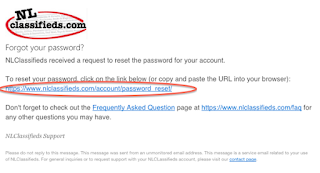 This will send a password reset email to that email address. 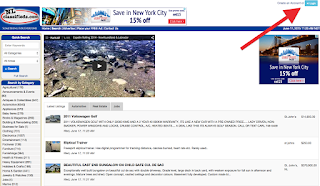 Once your email address has been successfully submitted, the following screen will display. When you see this page, check your email inbox for a "Reset your NL Classifieds password" email. 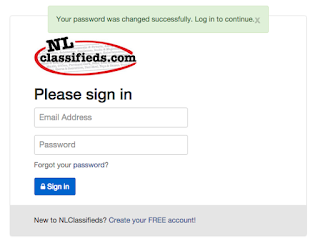 The "Reset your NL Classifieds password" email will look like the below. 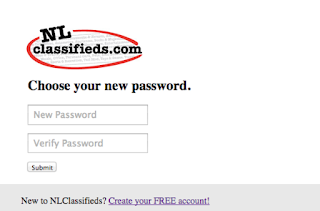 Click the link to be taken back to nlclassifieds.com and create a new password. This link will take you to the choose password page on nlclassifieds.com (pictured below). 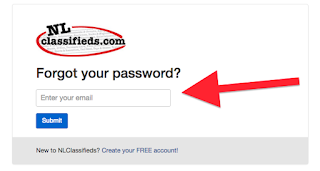 Here you can reset your password to whatever you would now like it to be. Keep your password safe. 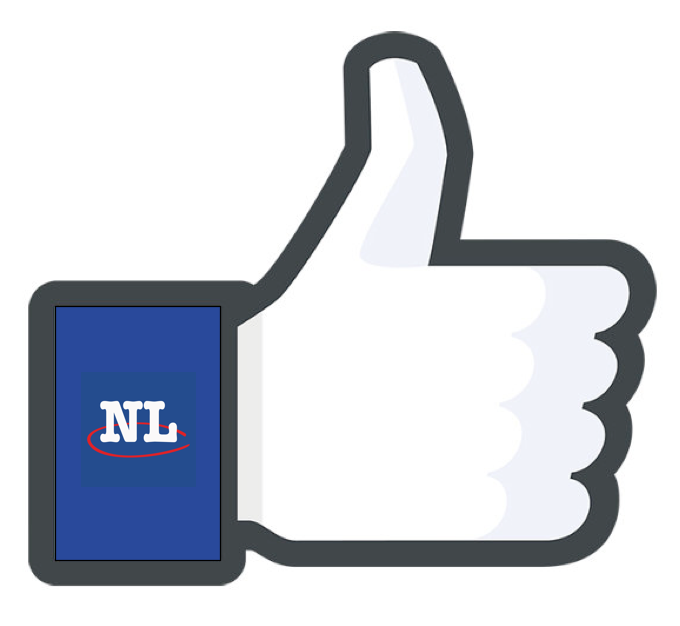 Note: You must type your new password twice, the exact same each time. 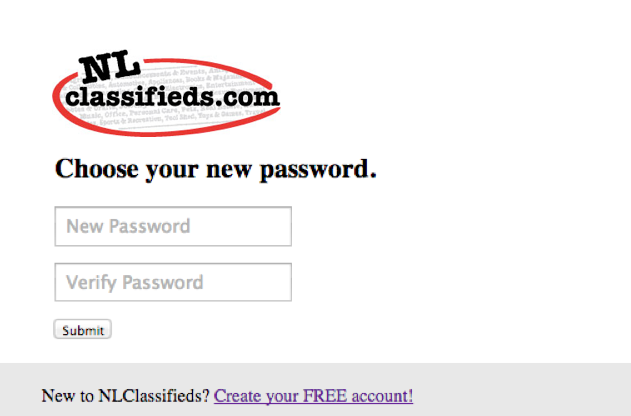 Once you have successfully submitted your new password, you will see this screen. 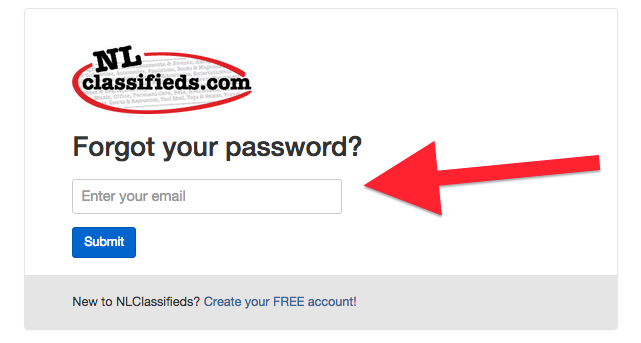 From here, you can now login with your full email address and new password. 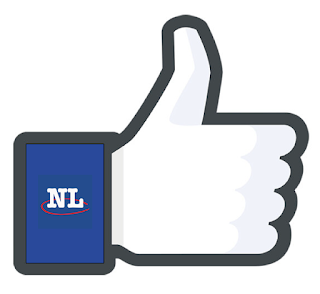 Congratulations, you have successfully reset your NL Classifieds password and now have full access to your account and all of the listings posted within that account.